Snowmen have been a iconic part of a winter wonderland for centuries. In fact, the is even evidence of villagers building snowmen dating back to medieval times in Europe. The joy of creating a friend out of flurries is something we carry within us long after childhood has past. 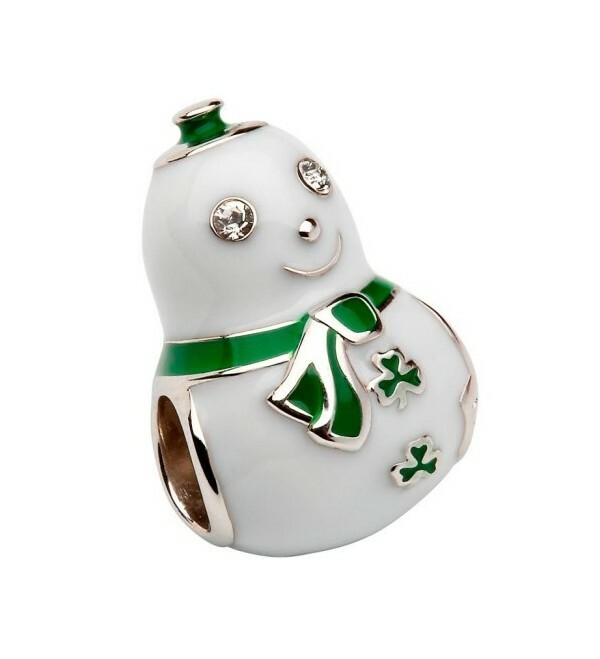 Every good snowman needs a scarf and buttons, and the lucky shamrock is the perfect addition to bring a bit of Irish flair to the bead, along with the bright emerald color that brings to mind the rolling hills of the Emerald Isle. 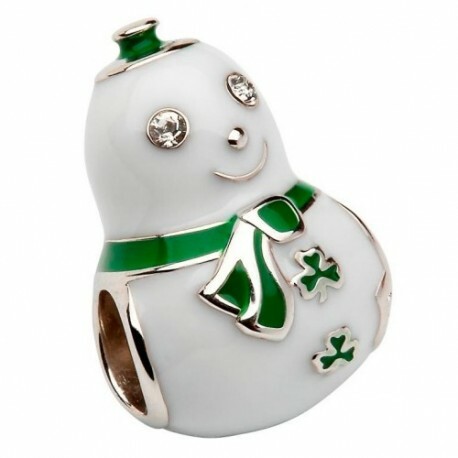 Carry your sense of childlike wonder and take joy in the magic of winter all year round with this adorable bead on your charm bracelet. Part of the Tara?s Diary collection, this bead will go perfectly with any style bracelet, and pairs well with other silver and Celtic beads.